The front page of The Record of Woodland Park on Monday. 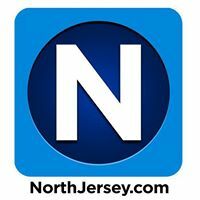 Editor's note: I rewrote this post to add details, and make clear in the lead paragraph that both The Record and NorthJersey.com lost a significant number of readers. HACKENSACK, N.J. -- Circulation of The Record -- the once-great daily newspaper founded in Hackensack -- and the number of visitors to its website plunged to 91,032 daily and 97,149 on Sundays in December 2017. 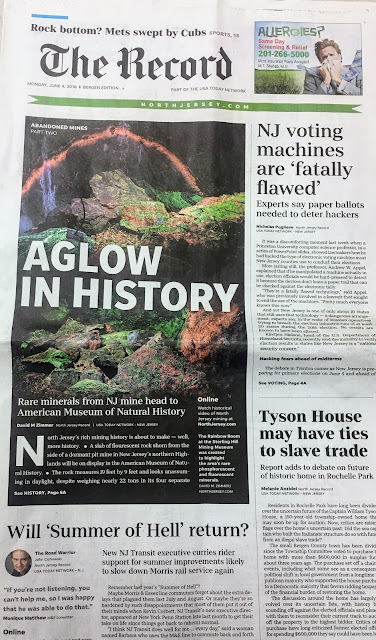 A year earlier, at the end of 2016, the circulation of The Record and NorthJersey.com was 235,681 daily and 147,609 on Sundays, according to annual reports issued by Gannett Co., the nation's largest newspaper chain. That's a dramatic decline of more than 144,000 daily and more than 50,000 on Sundays. Those reports said daily and Sunday combined average circulation "is print, digital replica, digital non-replica and affiliated publications, according to the Alliance for Audited Media," a nonprofit industry group. The amount of circulation is the primary factor in the pricing of advertising space, meaning Gannett likely had to reduce how much it charges for ads in The Record, Herald News and North Jersey.com. The 2016 annual report for Gannett and the USA Today Network hailed as a "strategic acquisition" purchase of North Jersey Media Group, the Borg family company that published The Record, Herald News, (201) magazine, NorthJersey.com and about 50 weeklies (not 30, as I wrote earlier). "In July 2016, we completed the acquisition of certain assets of North Jersey Media Group for approximately $39.3 million," Gannett said. "We financed the transaction with available cash." The Borg family held onto nearly 20 acres along River Street in Hackensack, former headquarters of The Record and NJMG, and plan to develop the site with partners, building more than 700 apartments. NJMG and The Record moved out of 150 River St. in 2009, and settled into cramped offices overlooking Route 80 in Woodland Park. The 2016 annual report placed The Record and NorthJersey.com third among major Gannett publications after USA Today and the Detroit Free Press. The 2017 annual report dropped The Record and its digital platform to sixth after The Indianapolis Star. Gannett is comprised of USA Today and more than 100 "local media organizations" in 34 states and Guam, according to the 2017 annual report. Revenues were $3.1 billion, an increase of 3.2% over 2016. 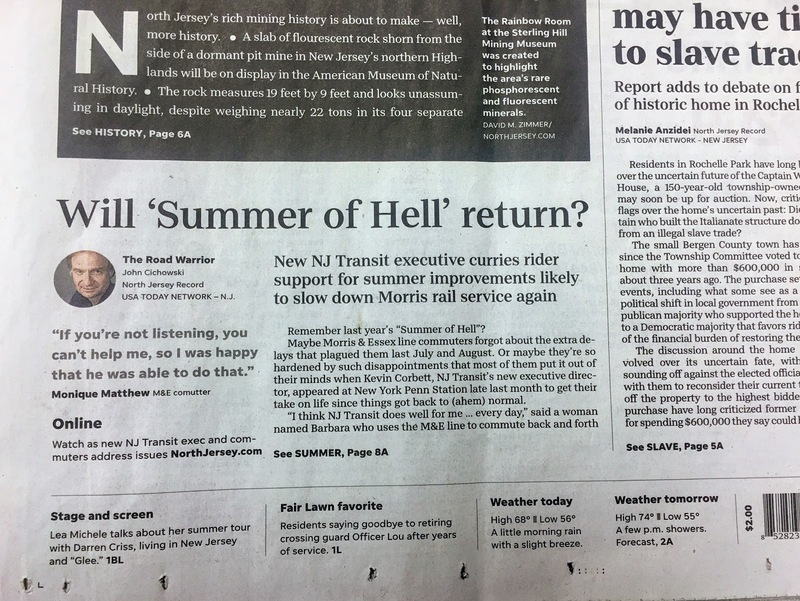 On Monday, a Page 1 column in The Record tried to panic riders of NJ Transit's Morris & Essex rail lines into fearing delays this summer. The Record's lack of focus on Bergen County, where a majority of readers live, is believed to be a factor in the dramatic loss of circulation since the Gannett takeover. Gannett's annual reports don't discuss reasons for the dramatic circulation decline, but readers have complained repeatedly about the small number of stories from Hackensack and other Bergen County towns, citing cuts in local coverage as a factor in their decision to drop the print edition. Monday's Local section contained only two stories about towns in Bergen County, where most readers live, including a news story about an unidentified Wallington woman killed in a one-car crash. Gannett took over NJMG in July 2016 and by the end of March 2017, more than 350 employees of the company had been laid off. The final round of layoffs included about 50 reporters and editors. 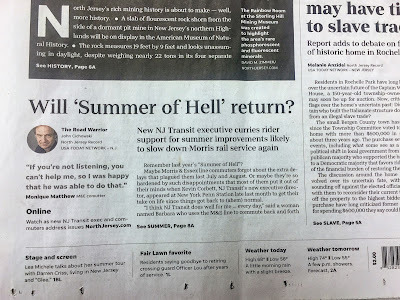 Since then, The Record and NorthJersey.com have been limping along, weighed down by burned-out veteran columnists and a bunch of inexperienced reporters.